The news that Trump plans to use trade talks with the UK to force the NHS to pay more for drugs should surpise no-one. 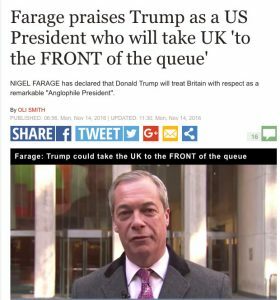 But the fact that people thought he would do anything else exposes the fantasy of Britain as an imperial power at the heart of the appeal of Brexit. This week a story re-appeared about Trump wanting to force the NHS to pay more for drugs, as part of a possible trade deal between the UK and the US. His argument seems to be that putting “America first” means stopping foreigners “freeloading”. The actual point is that the NHS (via NICE) operates as a single payer, and so has more muscle than the fragmented US system, where payments are made by individual health insurance companies. 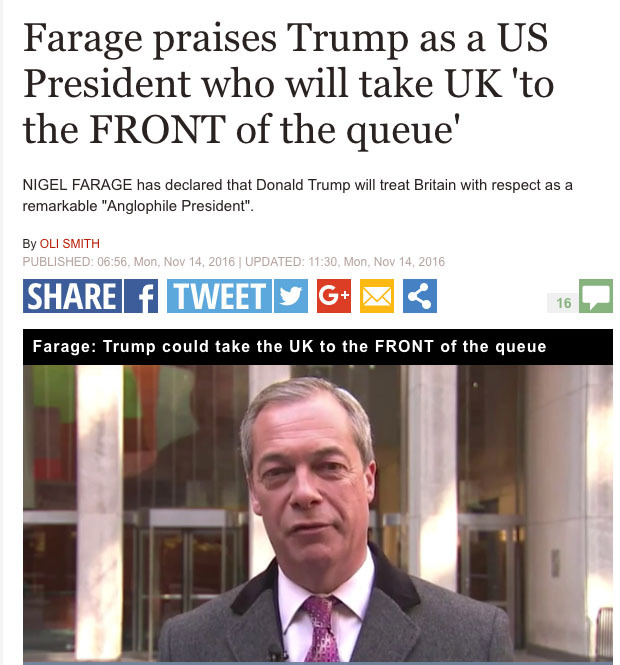 That is in stark contrast with Nigel Farage’s attempts to claim that Trump would be a president who would take the UK “to the front of the queue”.